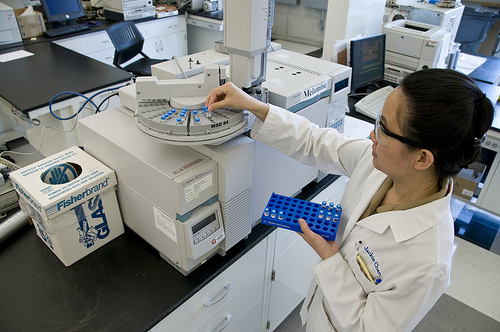 The Association for Molecular Pathology (AMP) has urged a U.S. House of Representatives subcommittee to update the Clinical Laboratory Improvement Amendments of 1988 (CLIA)—and thus limit the FDA’s plan to regulate “high-risk” laboratory-developed tests (LDTs). At a hearing yesterday of the House Energy and Commerce Subcommittee on Health, AMP submitted written testimony calling for the most extensive updates to CLIA since it was phased in starting in 1994. As it contended earlier this year, AMP says the updated CLIA should be the basis for legislation that would build upon the current system for overseeing the tests, which AMP calls “laboratory developed procedures” or LDPs. AMP, whose membership includes academic and community medical centers, is among opponents of the FDA’s proposed rules for LDTs. AMP contends that the FDA is overreaching because the tests are not medical devices subject to the Food, Drug, and Cosmetic Act (FDCA). While FDA first began regulating medical devices in the 1970s, “we chose not to enforce applicable regulatory requirements for LDTs because they were relatively simple tests generally confined to local labs, and often used for rare conditions,” Peter Lurie, M.D., M.P.H., FDA’s associate commissioner for public health strategy and analysis, said Monday in a post on the agency’s blog. As LDTs have become more complex over the past generation, FDA has argued, many consist of components that are not legally marketed for clinical use while others are used beyond local populations and manufactured in high volume. The FDA has also raised concerns that many are used widely to screen for common diseases or direct critical treatment decisions; and that many of the tests produce false results, positive or negative. “FDA oversight would help ensure that tests are supported by rigorous evidence, that patients and health care providers can have confidence in the test results, and that LDTs have more scientifically accurate product labeling,” Dr. Lurie added. The AMP has countered that the benefits of the FDA’s proposed regulation would be outweighed by its risks, which it said would include additional costs and red tape in the development of new procedures. “Most important, it preserves patient access to essential laboratory services provided by academic medical centers, cancer centers, hospitals and health systems, and small independent laboratories that will no longer be offered if a costly FDA-based regulatory system is imposed upon these key health care organizations and the professionals employed by them,” Dr. Klein added. • Setting standards for adverse event reporting based on effects of laboratory test results on patients. • Requiring that test information be publicly displayed in a searchable, standardized format for review by physicians, laboratories, and patients. • Maintaining clinical laboratory oversight under the single agency now charged with overseeing CLIA, the Centers for Medicare & Medicaid Services (CMS). AMP contrasted the third provision with legislation drafted by the committee, which would assign regulation of “processing” of an LDP to FDA, while placing oversight of performance of and LDP within CLIA.